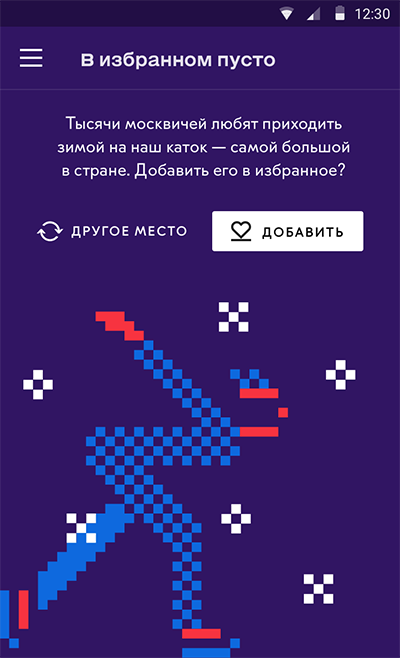 to create an Android version of the app of Russia’s main trade exhibition. 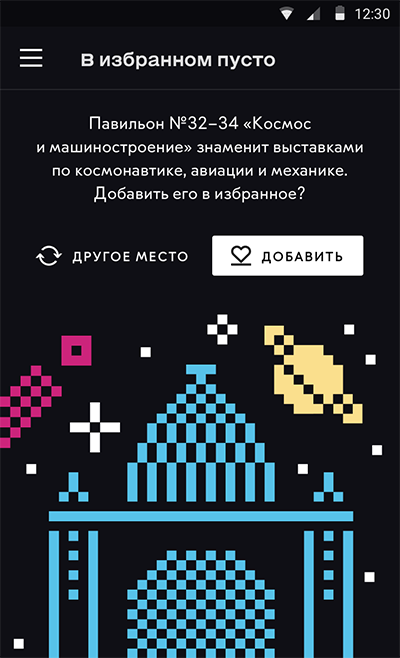 The official app of Russia’ second largest trade exhibition contains information about all of its landmarks and events and helps visitors navigate the complex. Modular mini cards on the main screen contain the most important information about current events and exhibits. White or red background is used depending on the type of announcement. Each mini card contains distance from the current location. 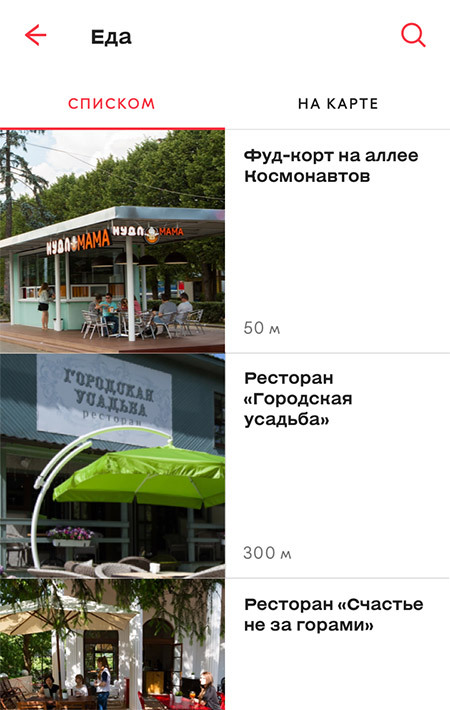 Scrolling through cards, users can map routes and add objects to favorites. When empty, the Favorites section presents recommendations of the most popular locations of the exhibition. 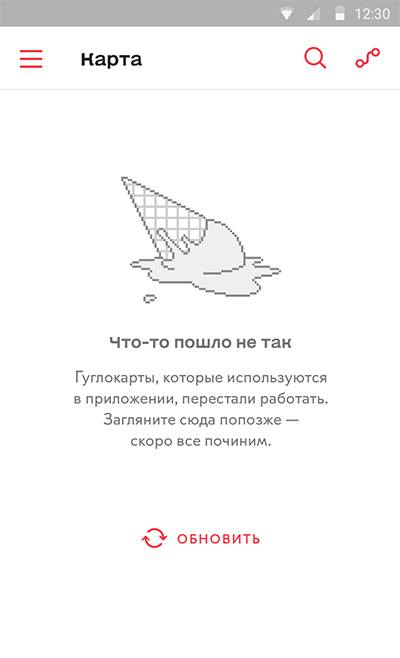 To make searching objects easier, they are broken down into categories, each with its own graphic pictogram. Search results are displayed differently depending on whether a photo of an object is available. 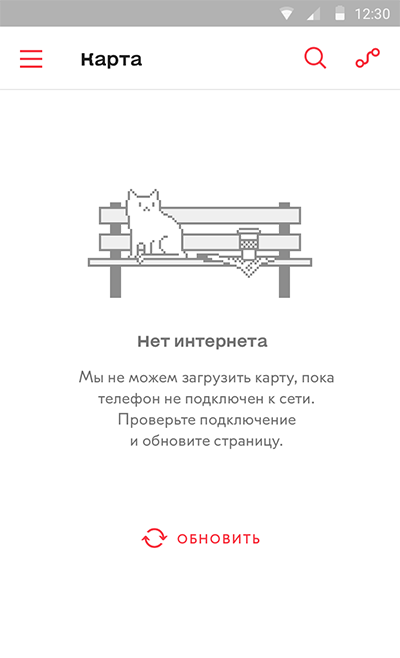 In case of network connectivity issues or other problems, the app displays a splash screen with a relevant illustration. 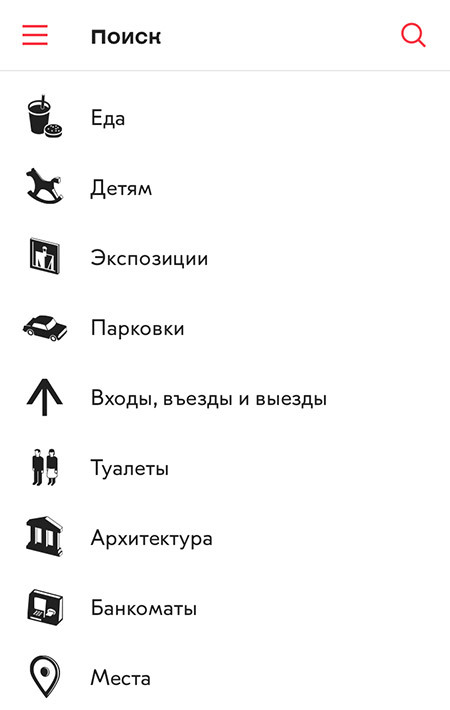 All objects are marked on the map with pictograms and illustrations. 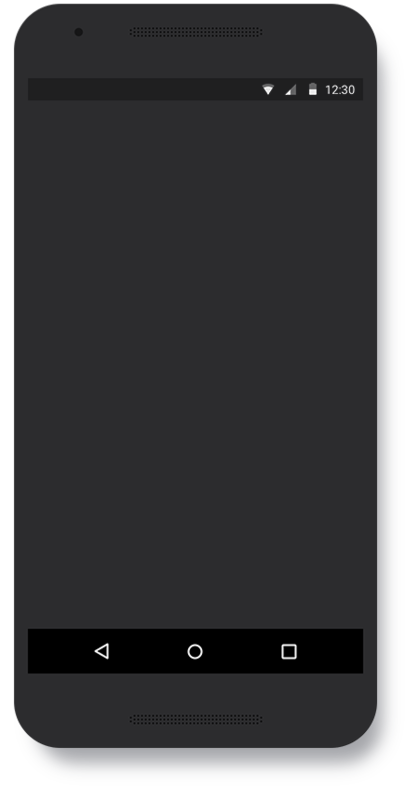 Tapping on such a mark opens an object mini card. 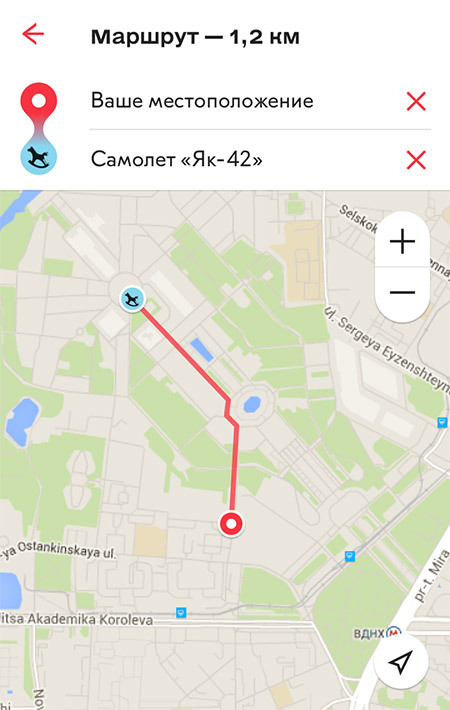 Also, the map shows the route to the object from the user’s current location. 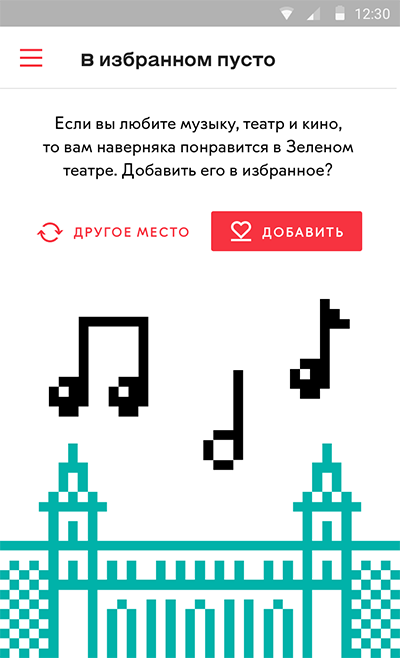 The application includes a feedback service that allows users to share their opinions of the exhibition and give recommendations for further development of the app.